A fat kid gets introduced into the punk rock life by a manic junkie dream dude and we all learn a lesson about being aware of all the life around us. Illinois - Challenged as a suggested summer reading at Alsip Prairie Junior High for being "laced with profanity and other mature content." The district superinendent planned to retain the title along with others. South Carolina - Removed from the Pickens County middle and high school library shelves for "language, the sexual reference, and drug use… not appropriate for middle-school students." 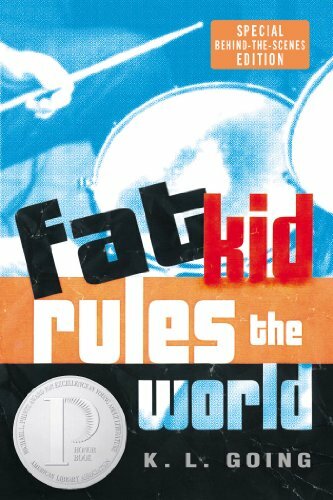 Going, K. L. "Fat Kid Rules the World." G. P. Putnam's Sons. New York, 2003.